For our third event of the year, we're celebrating the bubbly, fun, quirky, enthusiastic, and brilliant chef and friend, Sookie St. James! Sookie may have been accident prone (poor Viking stove!) and a bit unorthodox, but she is the friend we all wish we could have in real life. 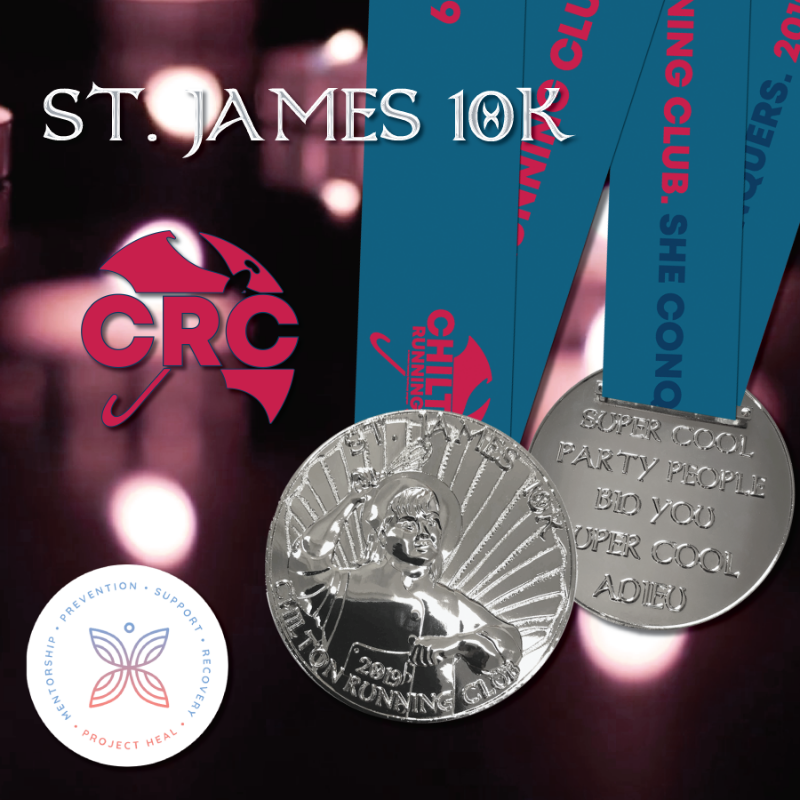 Your registration includes this beautiful 3" polished silver "secular saint style" medal, custom sublimated ribbon and the always popular custom digital bib. The opening song on Gilmore Girls, "Where You Lead", was written in 1970 by Carole King. We all know this song by heart, don't we? And in honor of this, the suggested run date for the St. James 10k will be on Carole King's birthday, February 9th! Remember that this is just a fun suggestion and you can complete your 10k whenever you want! Registration closes February 10th at midnight (or early on the 11th depending on your time zone) and all medals will be mailed later that week. Join us and help support Communities of HEALing! Sign up today!